KalemSoft Media Player is a media player application with support for streaming content from a remote PC or a DLNA server. It can also play content stored locally on the device. It supports many codecs and containers such as wmv, mp4, mkv, avi, ts, m2ts, flv, vob, ogg, h264, divx, xvid, rm, rmvb, wma, mp3, ac3, dts, etc. KalemSoft Media Player can also stream live content such as a stream from a video camera or a TV card (currently only analog TV cards supported) attached to a remote PC. 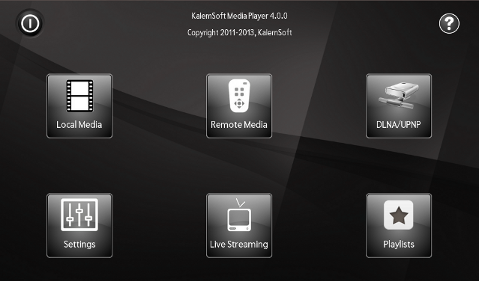 The streaming server is a separate application named KalemSoft Media Streamer that is available freely from here. You can also use a third-party DLNA server such as Twonky, Tversity or a NAS drive.